One man climbs 24 flights of stairs several times a day alongside dormant elevators. Street vendors hawk plastic washboards for $ 20. And families outstretch their hands as crews in helicopters drop supplies in communities that remain isolated. “I’ve never seen anything like this,” retired schoolteacher Santa Rosario said as she scanned empty shelves at a supermarket in the capital of San Juan that had run out of water jugs — again. Maria caused as much as an estimated $ 85 billion US in damage across an island already mired in an 11-year recession. That has complicated and delayed efforts to restructure a portion of a $ 74-billion public debt load that officials say is unpayable. And it has thrust Puerto Rico’s territorial status into the international spotlight, reviving a sharp debate about its political future as the island attempts to recover from flooding, landslides and power and water outages. Roughly 80 per cent of power customers remain in the dark, and another 30 per cent are without water. Schools remain closed. Stoplights are not operating. And while nearly 90 per cent of supermarkets have reopened, many have rows of shelves empty of goods ranging from water to bananas to canned tuna. Less than half of Puerto Rico’s cellphone towers are operating, and only 64 per cent of bank branches have reopened, some of them with dead outdoor ATMs whose empty screens prompt a roll of eyes from people seeking to withdraw money. Last week, the House of Representatives passed a $ 36.5-billion disaster aid package for places including Puerto Rico and the U.S. Virgin Islands, and now a group of Democratic lawmakers are pushing for tax relief, saying that people and businesses in both U.S. territories affected by Hurricane Maria receive unequal treatment compared with U.S. states. 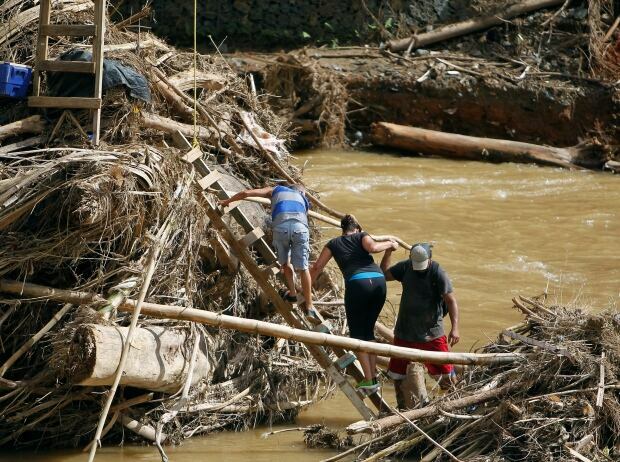 The U.S. Federal Emergency Management Agency also has pledged more than $ 171 million to help restore power across the island, and it has distributed more than $ 5 million to municipalities in need, as well as $ 1 million to Puerto Rico’s National Guard. 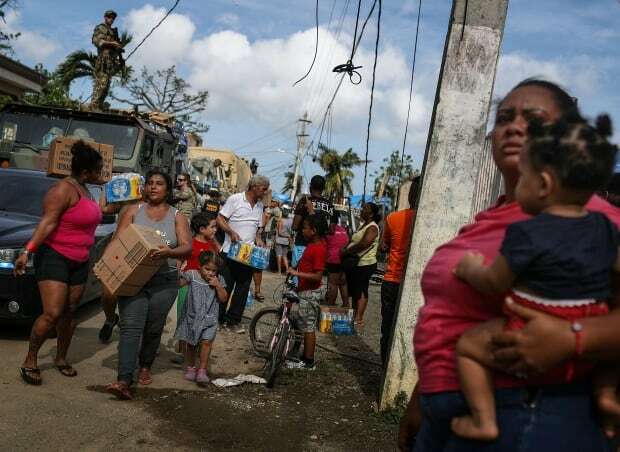 Resident Commissioner Jenniffer Gonzalez said the storm set Puerto Rico back 20 to 30 years, and while generators, food, water and other types of aid are still being flown and shipped to the island, people say it’s not enough. 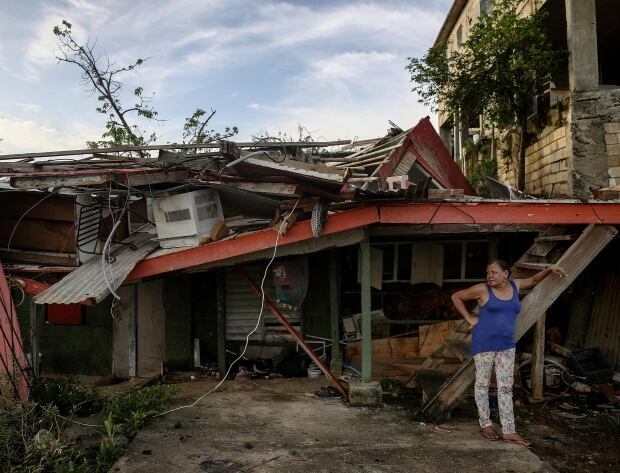 “We lost our home and we lost our car,” said Lisandro Santiago, a 42-year-old carpenter who started work just a week ago and was overseeing a crew repairing an apartment complex. Celebrations of power coming back on in certain neighbourhoods are often brief: A litany of happy exclamation points following messages of elation posted on social media are usually replaced a day later by angry emojis. Many use social media to post endless questions on post-hurricane help: where to find fans with batteries (nowhere so far); where to find affordable babysitters as some parents return to work while schools remain closed (many suggested finding unemployed friends); what’s the best way to wash clothes by hand (a majority of votes went to someone who suggested placing them in a big garbage bag with water and soap and shaking it vigorously). She paused and then continued to push her cart through the aisles, searching for new food options after having eaten sandwiches of canned chicken and asparagus for breakfast, lunch and dinner.